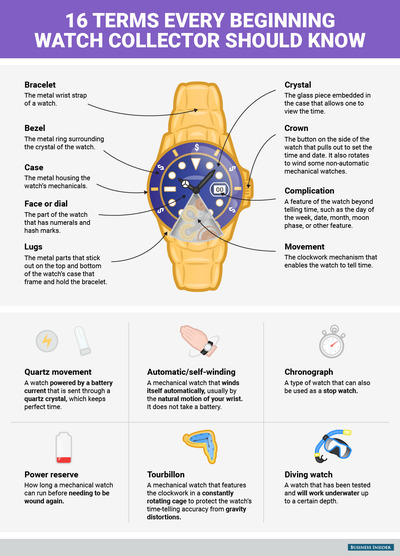 For beginners, the world of watches can be a mysterious and intimidating place. But before you even start wading through the millions of quality watches for sale today, the first hurdle is knowing what you’re talking about. Let us help with that. 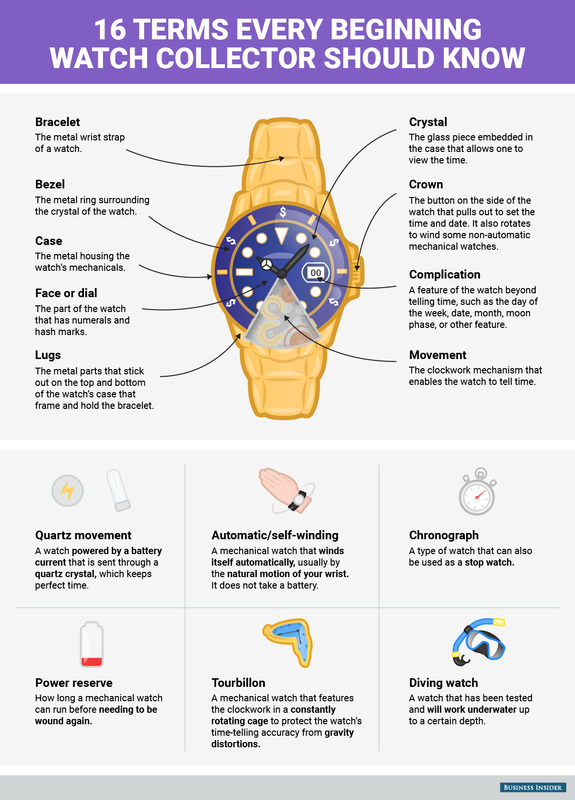 We’ve rounded up 16 of the most common watch-specific terms. If you’re looking to build a watch collection, we recommend bookmarking this.